All contractors work hard to do great work. After all, consistency and accuracy are essential for a successful construction business. But how do you implement a quality management process that works? To start, it’s important to devise a detailed plan that clearly outlines every goal for each project. Doing the job right the first time around will keep your budget on track and your projects on schedule. On top of that, your attention to detail can increase the likelihood that your clients will recommend your company to a friend or choose to work with you again. Ensure your construction is a step above the rest with a quality control plan. What Is a Quality Control Plan? A quality control plan is a set of processes that measures and maintains the quality of your service. The plan is implemented to ensure all construction procedures are performed in compliance with the plans and specifications of the written contract between you and your client. With this structured approach, you will also be able to oversee work quality, manage workloads and hold each worker accountable for their performance. Start by preparing a list of quality control procedures for your projects. Keep these elements in mind when writing your plan template. Understanding your client’s expectations is the key to any successful project. Put time on the calendar to discuss exactly what the client has in mind. This will allow you the opportunity to provide suggestions, discuss the estimated timeline and ensure that you both agree with the final project plans. Document the exact specifications of your client’s requests and how each aspect will be controlled within the contract. Every project should have a Quality Control Manager responsible for the overall project quality. In your quality control plan, outline the specific duties of this role and indicate the qualifications required for the position, including a current CQM certification. Consider creating an internal document or flow chart to provide a visual representation of how the Quality Control Manager will work with your Project Superintendents and other Field Employees. The Quality Control Manager is responsible for the overall quality of your project by performing field inspections, preparing daily Quality Control Reports and delegating duties. The Project Superintendents are responsible for the day-to-day operations of your project, which includes supervising equipment operators, truck drivers, laborers, technical staff and all subcontractors. The designated Superintendent is also responsible for maintaining all construction equipment on the work site. Create a list of your material suppliers and any subcontractors working on the project. Review the list with your client and explain your qualifying process. Go over the details of your quality control plan with all subcontractors and suppliers. Also, keep documentation of their qualifications on record. Field quality audits should be performed to confirm your client’s requests are being fulfilled. The audit is a review of every aspect of the project and all workers involved, from subcontractors to suppliers. In your contract, specify the number of audits that you will perform based on the length of your project. Ask your clients if your work is meeting their expectations or if they have any concerns. Walk the job site, paying close attention to the quality of workmanship and how closely procedures are followed. Make sure identification tags and all other safety policies are in place. Inspect quality assurance documentation and reports conducted by your Quality Control Manager. Review the inspections performed by your Quality Control Manager to measure accuracy. Check in regularly with all workers to make sure they are aware of your standards and properly trained. Follow up on notes from previous audits and keep track of improvements. Create a plan of action outlining any areas in need of improvement and the next steps to take. Now that you know how to implement a quality control plan, you can measure the success of your construction business more accurately. For more contractor resources and business advice, check out the Trades and Construction section of our blog. 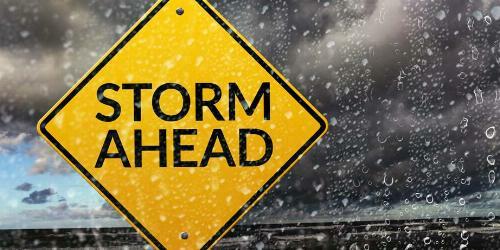 Preparing your workers for severe weather is vital, especially in areas impacted by hurricanes. From securing equipment to evacuating the area, learn how to keep your work site safe. Your construction site is home to a wide range of expensive equipment. 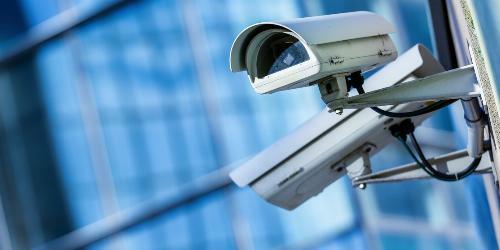 Learn how to keep your property safe from theft with a security plan.